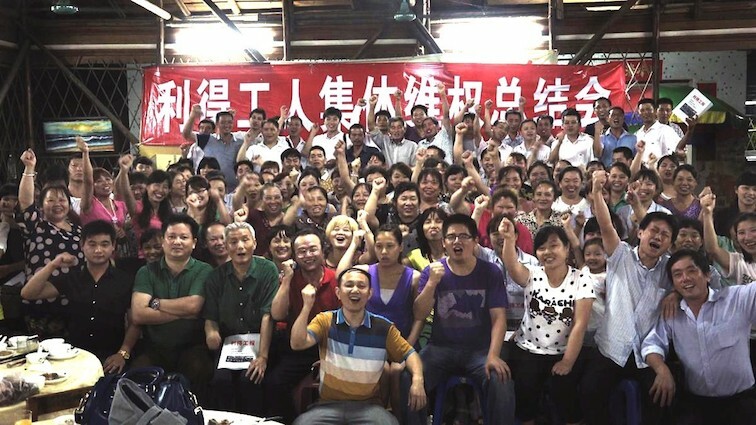 Workers and labour activists celebrate victory in the Lide shoe factory dispute in the summer of 2015. In December 2015, the Chinese authorities launched a sustained and coordinated attack on civil society labour organizations in the southern province of Guangdong. Several activists were arrested and the organizations they worked for were disbanded. This brought to an end a crucial period in China’s workers’ movement as outlined in previous China Labour Bulletin reports) in which civil society labour organizations essentially did the work of the trade union in building worker solidarity and helping to resolve disputes through collective bargaining with management.